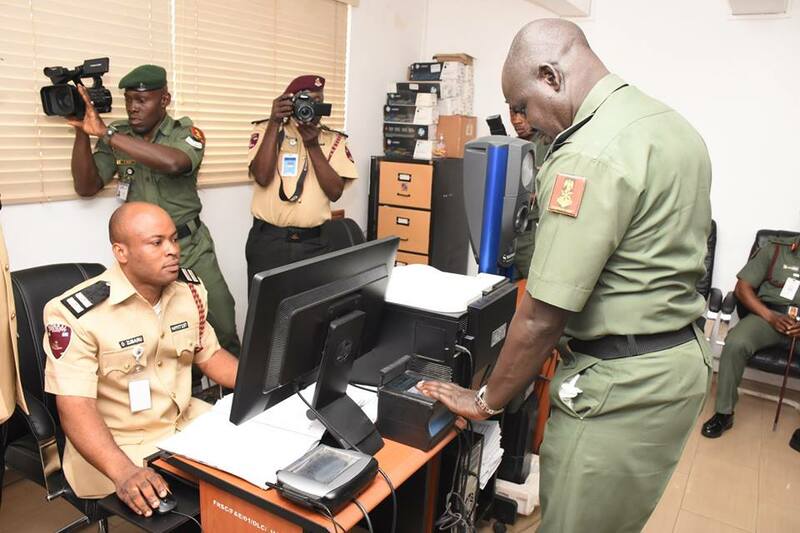 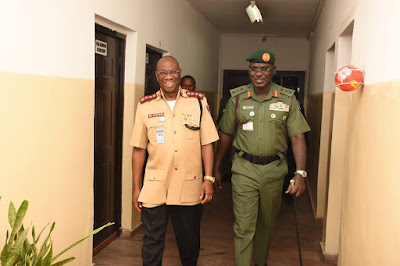 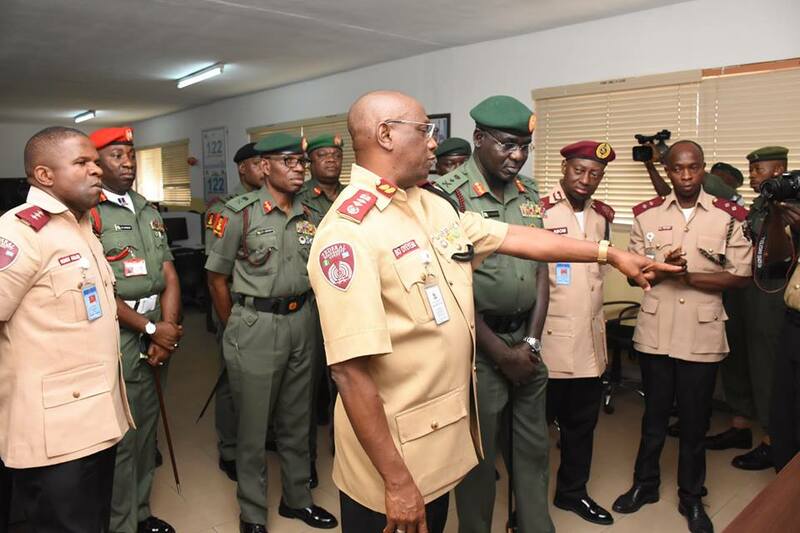 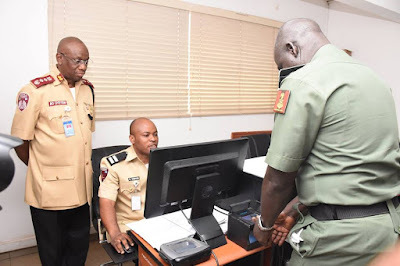 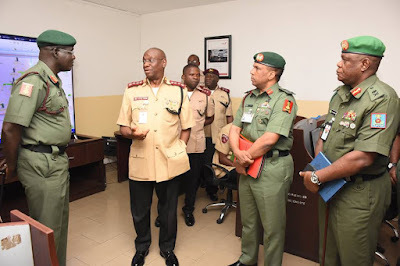 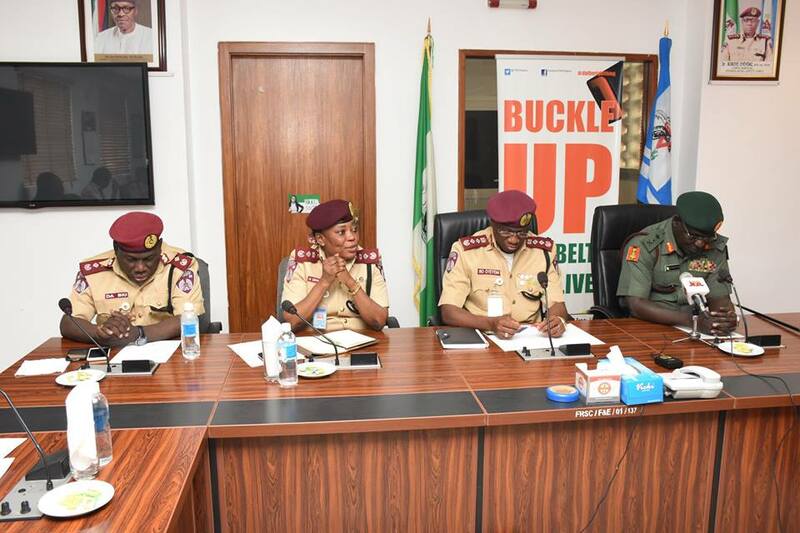 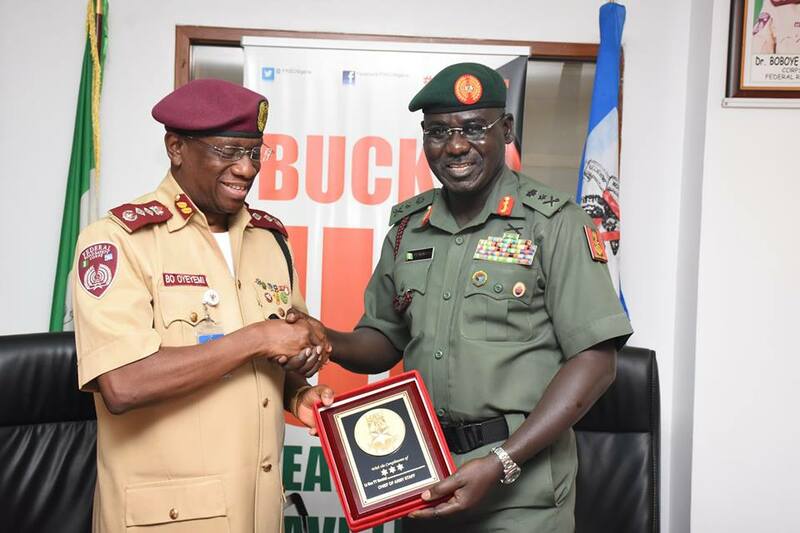 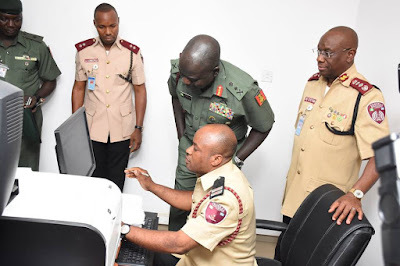 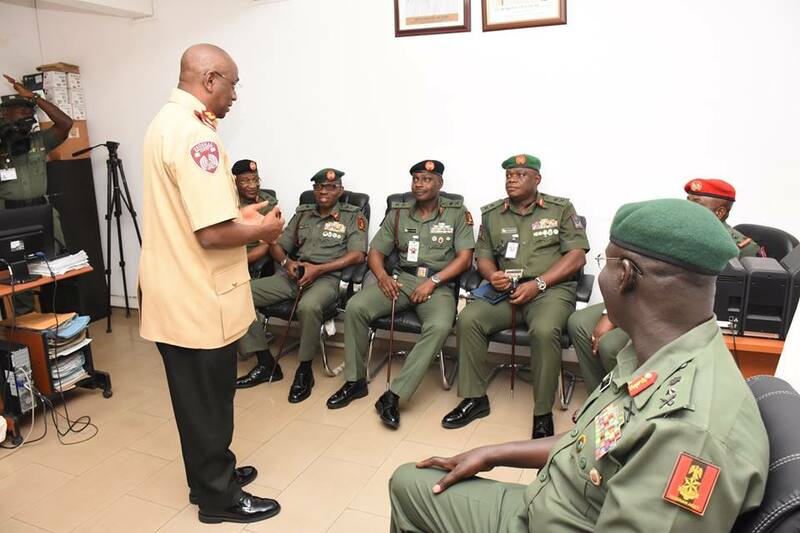 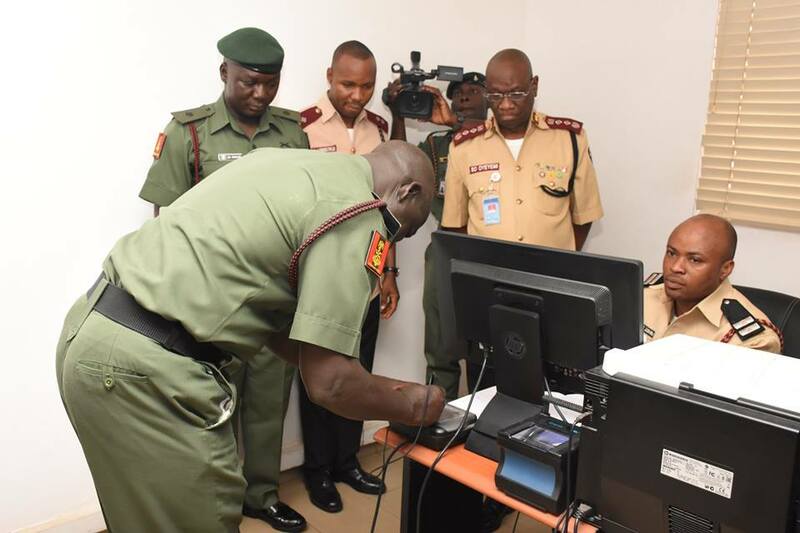 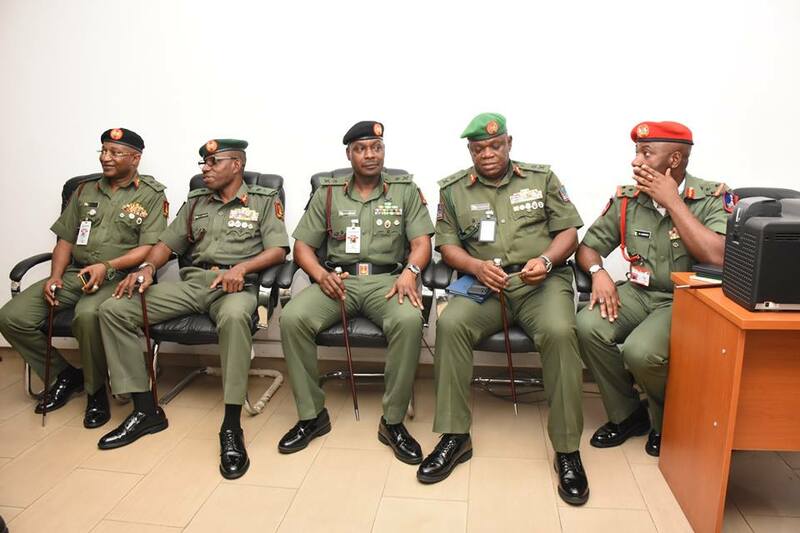 The Chief of Army Staff Lt Gen Tukur Buratai on Thursday paid a courtesy visit to the Headquarters of the Federal Road Safety Commission . 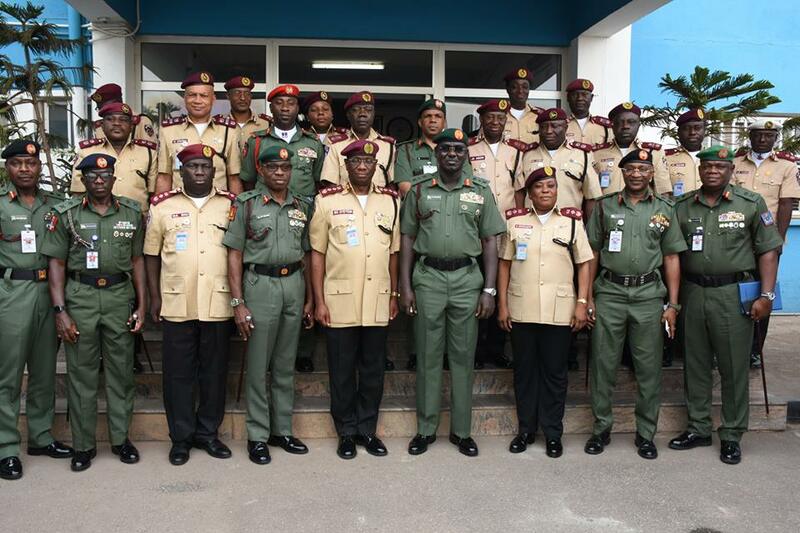 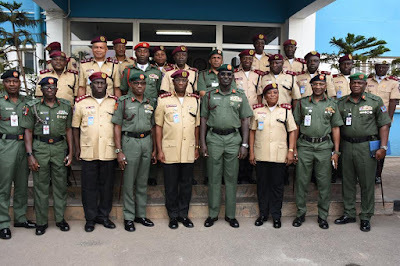 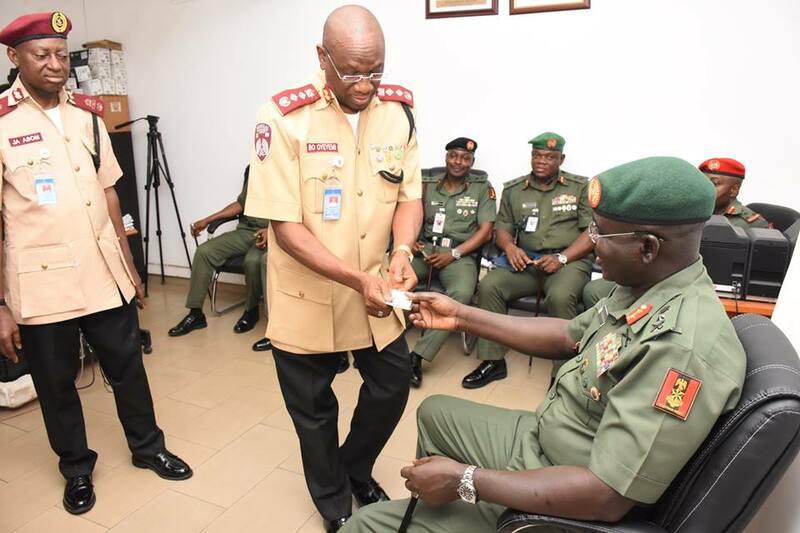 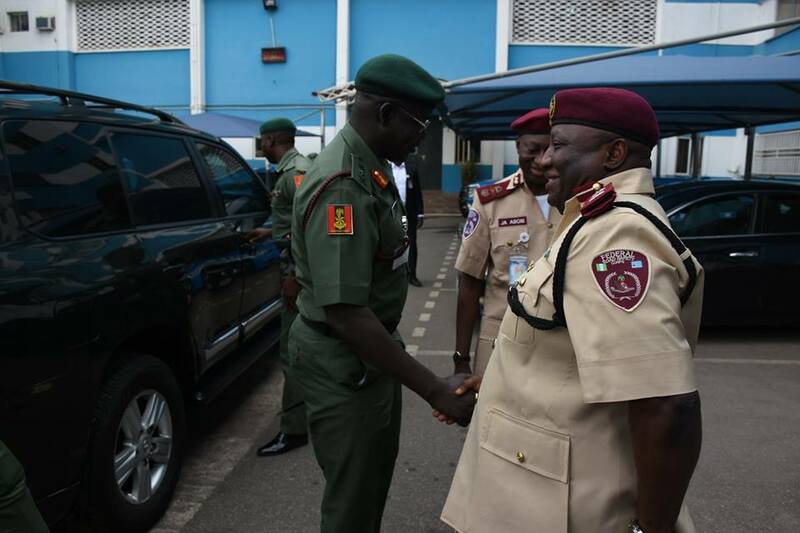 Gen Buratai who was accompanied by top Army Generals was received by the Corps Marshal of the FRSC Dr Boboye Oyeyemi and members of his management team. The two agency heads discussed areas of mutual interest that will benefit their organizations.